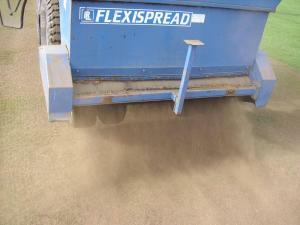 At Fine Turf Services we have been long established with season-end cricket renovations. We always work closely with our clients and can supply a whole range of loam dressings to suit the requirements of individual wickets to maintain a continuity of loam specification. Wicket dressings may be of an individual request or as part of a whole renovation process. For more information help or advice please do not hesitate to contact us on 07818 040565.